You might have heard of peyote. Perhaps you’ve even tried it. But to many, this powerful psychedelic drug is a bit of a mystery. Peyote is a type of cactus that is small and doesn’t have a spine. Mescaline is the name of the active ingredient found in peyote. As far back as records show, natives in the southwestern portion of the US as well as the northern area of Mexico have used peyote as a part of religious tradition. For this reason, to this day, it is not illegal for a tribe member to use peyote in a religious context in the US. As far back as records show, natives in the southwestern portion of the US as well as the northern area of Mexico have used peyote as a part of religious tradition. 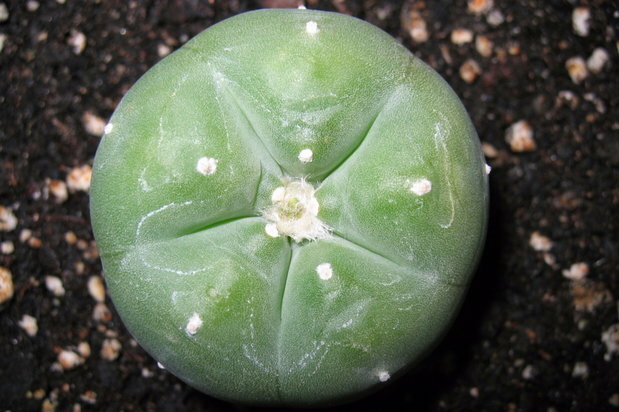 When peyote is used for its mescaline, the substance is obtained through the buttons of the above-ground part of the cactus. These buttons are dried and then consumed by putting them into water or chewing on them. Shortly after consumption, peyote can make a person feel sick to their stomach. Body temperature may rise, heart rate may elevate, blood pressure might increase and a person may lose their appetite. Consuming peyote can even cause sleeplessness, weakness, numbness, or tremors. As with all other types of hallucinogens, anxiety levels can be elevated for some users, usually causing what is referred to as a “bad trip.” Some users of peyote even experience powerful flashbacks, like the ones that are often associated with LSD use. So why do people use peyote? What’s the appeal? People use peyote for the psychedelic effects – the relatively desirable ones, that is. When peyote is used as part of a sacred ceremony, the hallucinogenic properties of the plant are thought to bring users closer to God or enhance their spiritual depth. Some native tribes also use peyote as medicine. Outside of the native setting, the drug is used much like other hallucinogens such as LSD, DMT or mushrooms. Although banned, the recreational use of peyote is common. As with all psychedelics, it is important that their power is not underestimated. Some drug users might make the mistake of thinking that since peyote is used by natives as an element in religious ceremonies that it is safer than other types of psychedelics for recreational use. This is simply not true. Psychedelics can be extremely mind-altering and can even cause a person to snap under the wrong mixture of circumstances. It’s best to avoid recreational psychedelic use, especially for those with a history of mental disorders of any kind. Anxiety disorders specifically might be made worse by psychedelic use, particularly with peyote. Any person who is having a “bad trip” from peyote should receive immediate medical or professional help.